These two military envelopes were posted in India for destinations in Europe. For reasons unknown, the military aircraft carrying the mail crashed near the village of Raitali in the vicinity of Bombay, killing the crew. 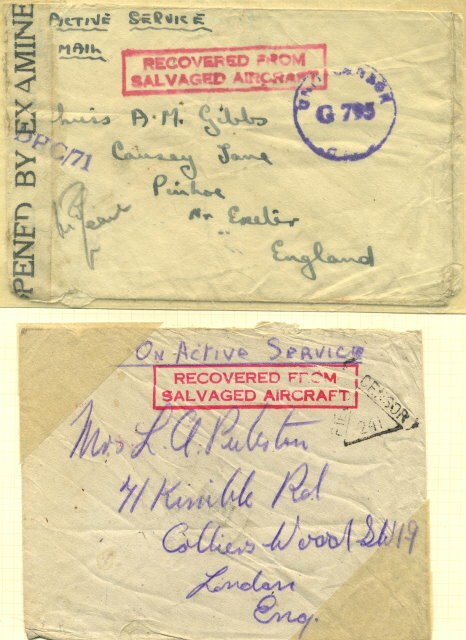 The mail was salvaged and this cachet was applied in red to the mail recovered from the crash.